Has your Livewell pump worn out and you worried how you're going to replace it? Livewell pump, just like a water heater in your room, you rarely think about it unless it stops working. That's when the question on how to fix it come into the picture. Worry no more since this article will answer all your queries on how to install a livewell pump. When the bait pump goes bad then replacing it with the same model is the way to go especially if the old pump worked pretty well. However, if you were not impressed with its performance, then it time to re-evaluate your choice. Well, replacing and installing a new pump is quite a simple task when the procedure is followed carefully. So, Lets go on and fix it. Locating an appropriate spot where you drill a hole is very vital before installing the live well pump. To ensure that you don’t go wrong, make sure the spot location is below the waterline when the boat is not moving. Is there enough space for the pump inside the boat? You should look both outsides and inside the boat to ensure there is enough space for the pump fittings at the installation location. When you have identified the right spot. It is now time to drill a perfect hole on the boat. Drill a 1" diameter hole. Have the white rubber gasket placed on the threaded fitting. Next, slide the threaded fitting through the hole. At this point, the pump should be inside the boat while the rubber gasket between the boat and the pump. To the threads, apply the pipe tape. Next, screw nut on, and hand tightens. While the pump output nozzle is facing up, tighten the screw nut on the fitting. Take care, not to over tighten. To seal the hole that was drilled, use a marine grade silicone sealant and seal around the nut. A saw will be highly effective in removing the excess length of the threaded fitting. Ensure the strainer screen is outside the boat. You can push the screen into the end of the fitting outside the boat. It is recommended to use heavier marine wire or gauge 16. Making the correct wire connection is very crucial in this last process. Having the wire connected wrongly may lead to pump damage and other electrical faults related problems. Next, have the brown wire connected to the right switch. When connecting the fuse, ensure you use the right and proper size fuse as well as the fuse holder. You can see your pump head to for the recommended fuse rating. This is the final step of your installation. Connect the fuse to the positive (+) side of the battery. Use the black wire and connect it to the negative (-) side of the battery. When selecting the livewell pump to use, go for the pump that will be able to deliver enough water to replace the livewell water in approximately 6-10 minutes. The bigger pump does not mean it is better. However, having too much pump capacity might lead to the airlock and consequently damage delicate bait. Always mount the pump as low as possible and close to the hull. Installing a live well pump is not as confusing as many thinks. 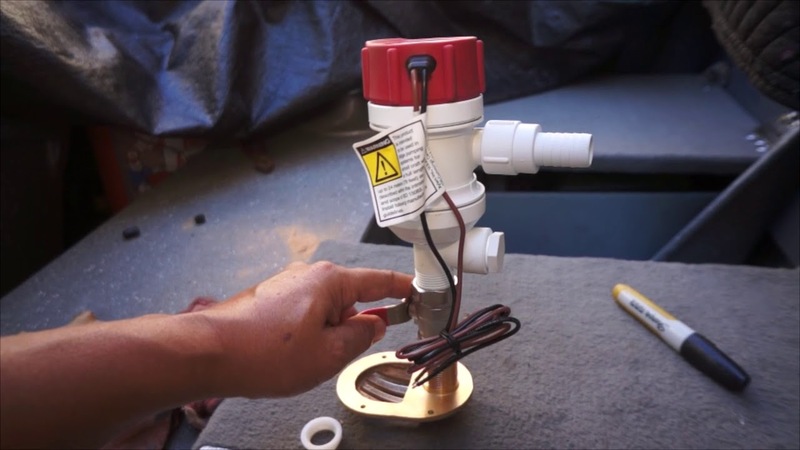 With these simple steps on how to install a livewell pump, you now don’t need a marine mechanic to fix the pump for you. You can be your mechanic. We can guarantee you surety that you will never go wrong with a guide. Keep tuned for other amazing and informative guides. We never disappoint! Also, You can Learn more Zoeller sump pump reviews to more knowledge!